Yes! It’s almost the holiday! You're almost there! But before you jet set off to wherever it is you’re going check out these events. Tonight Unravel's back with stories and this time they’ll be partnering with gaming group Touch Our Buttons. There'll also be a lecture on African factories, a meditation sess for kids, a market on Fisherman’s Wharf, and a workshop-reading mash-up from the Shanghai Literary Review and Shaving in the Dark. Details after the jump. Tonight at Elevator there will be 6 storytellers working around the theme: press play. Mike Ren from Touch Our Buttons will also be there with two games for you to try out. Drinks at 6.30pm stories at 7.30pm, free entry (poster at by Beryl Chung). AfCham presents: African Factory Setup and Relocation Strategies Talk. Speakers will include Adamu Assefa Mukura Deputy Consul General of the Ethiopian consulate and Mamadou Sarr Commercial Counselor of Senegal’s Chinese embassy. The event address is 25F, No.9, Donghu Rd. Xuhui. Runs from 3.30-6pm. Entry fee: 200rmb. 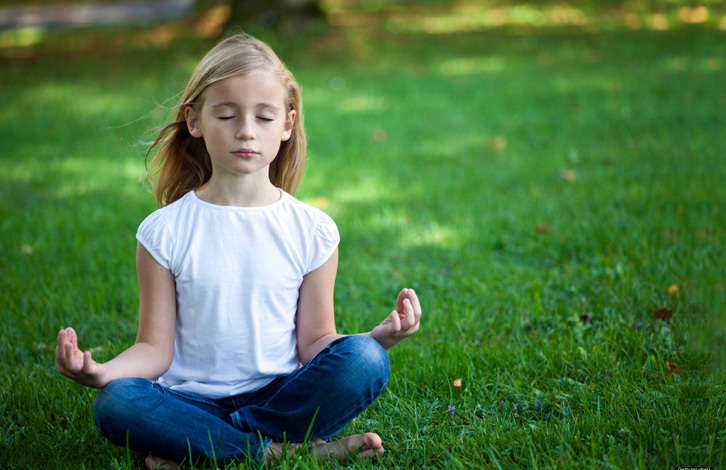 Meditation for kids! Maybe it'll make them a bit more chill? And just in time for the school break, woohoo. It’s through Luna Mindfulness and will go down in the Century Park at 10.30am. For kids 5-12, costs 100rmb per kid, discounts if you have a few of them. As an element of the grand opening of the Oriental Fisherman's Wharf development hub, Lifessence has been invited to organize their first outdoor market. Will run daily from Oct 1-5 with 24 F&B vendors, 1 booth dedicated to Shanghai's charities, 3 interactive activities, and 1 photo booth. Starts at 10am, no entry fee. Shanghai Literary Review and Shaving in the Dark are teaming up for a night of writing, reading, and getting creative. In a lettering workshop from 6-8pm, George Lobo will teach you how to write real fancy for 150rmb. After the workshop, there’s a free open mic from 8-10pm—anyone can read anything just email shanghailiterary@gmail.com to reserve a spot in the workshop or open mic or both.